As Behaviour Analysts, it is our job to put programs and protocols in place for therapists to carry out. This means that a program is often only as good as the therapist implementing it. A therapist who is able to follow programming, take data, and implement protocol is going to be essential to the success of the child. We’ve gone through many ABA therapists and advised many families in hiring their own therapists. We’ve seen some amazing therapists and some not as good. 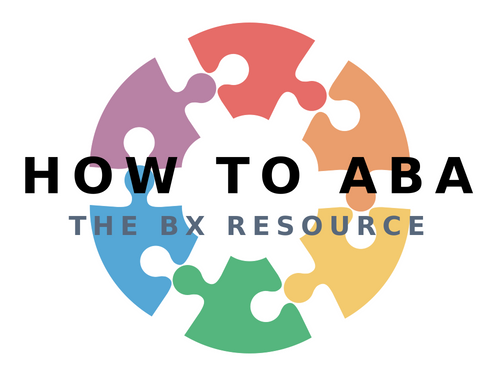 So what should you look for when hiring an ABA therapist? Being an effective therapist has to do with a therapist’s level of experience. A therapist can come to us with a stellar educational history and all the right courses and degrees, but the practical experience is what we look for. 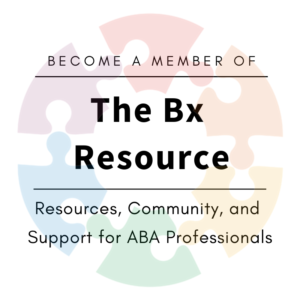 So much is learned from doing so we want to know what type of ABA work they’ve been doing! We also look for experience working under a BCBA. We’ve seen some people put “Behaviour Therapist” on their resume without working under a BCBA and getting the right kind of experience (Fyi, this is a no-no!). While the education is important, we’d rather find the right personality and train the ABA theory and knowledge. It’s important for the therapist to be fun, engaging, and able to take initiative while also following directions. A therapist who is boring will likely have a difficult time getting through to a 2-year-old child who is learning in a play-based ABA program. When I have two candidates – one with all the right education credentials and one with the right personality, I would take the personality any day. Tip: We also look for whether therapists come prepared for a play session with a set of their own novel and exciting toys – it’s a good sign!! Does the therapist greet the child? Does the therapist come down to the child’s level? Is the therapist able to engage and play with the child (with little or no direction)? We can tell a lot by the potential connection (or not) that we see between the therapist and child. A therapist who struggles with how to play with and engage a child may not be the best fit. If it doesn’t feel right, it’s usually not right. You’re entitled to a trial period where you can see how well the therapist is interacting with your child or client. Make your expectations clear and if you’re not comfortable, it’s better to move on. The ABA therapist is going to be spending a lot of time with their client – it’s worth getting it right! When my son got diagnosed with autism, I was recommended by his psychologist to find an ABA therapist and gave me a list of clinics, and I do agree that previous experience is important because therapy is always different when dealing with many patients. I also think that personality over education matters because I need to find someone that my son is comfortable talking with. In the end, the child does need to interview the therapist in order for me to know that they get along well. Yes! When the child should have a say in who he/she likes! I hope your son is doing well with his ABA program! I like that you pointed out how letting the child meet them for the first time can tell if they are perfect for your child. As you mentioned, their interaction will tell a lot if the partnership will be a success. I will share this tip with a friend of mine since she has a feeling that their first-born has a condition for the behavior that they noticed with her while she is still one-year-old. Hi Millie! The true interviewer is the child – they’ll let you know who they bond with! The relationship is the most important part. A therapist can have all the technical knowledge in the world but isn’t able to get down and play with a kid! Thanks for sharing – good luck to your friend!